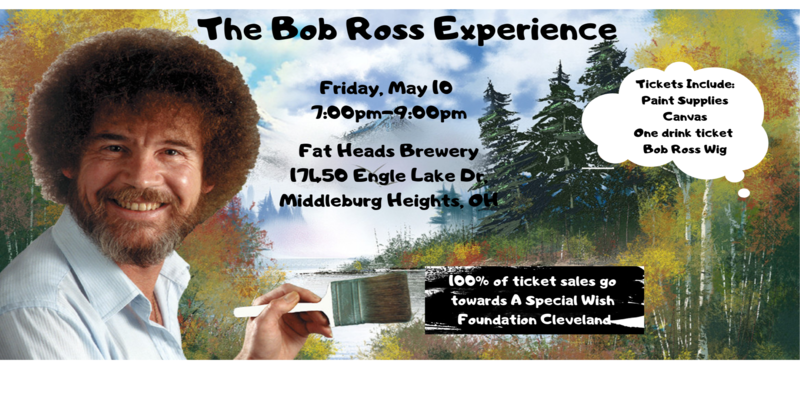 Original Post 4/15/2019: On Friday, May 10, Fat Head’s Brewery in Middleburg Heights will host the Bob Ross Experience, a paint night fundraiser with proceeds going to the Cleveland chapter of A Special Wish Foundation. “Honoring Bob Ross through this unique fundraiser is such a fun way to raise money to help grant wishes in our community,” says Eileen Lane, executive director of A Special Wish Foundation, in a press release. Fat Head’s Brewery and A Special Wish Foundation encourage attendees to wear their best denim outfits as they channel their inner Ross while creating their own artistic masterpieces. Tickets to the event cost $45 plus a handling fee. 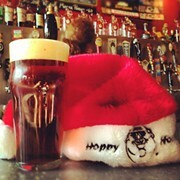 The price of admission includes paint supplies, a canvas, one drink ticket and, perhaps most importantly, a Ross wig.